A private Islamic school in the village of Fuoni, named after the founder’s, Mr Hakeem Abdullah, families tribe name in Mafia, pronounced Al Qu-wee. The school was opened on Monday 13th January 2014 after four months of preparations. 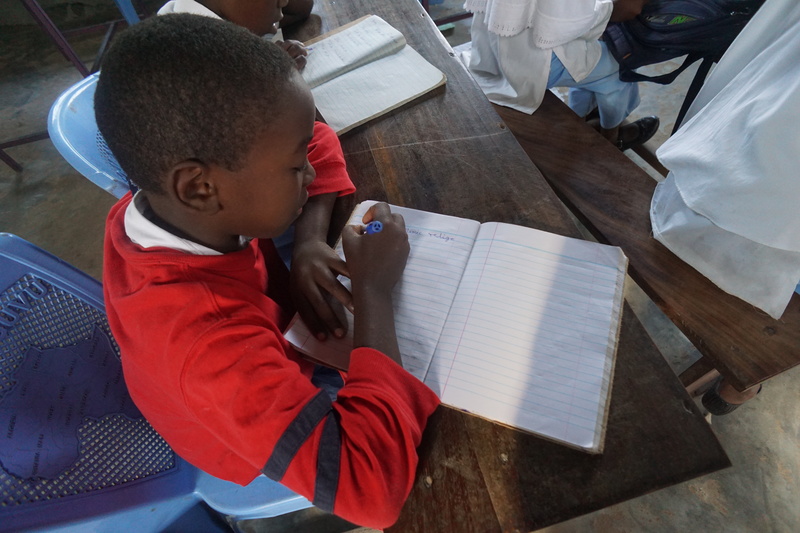 The school has 24 classes, providing nursery to secondary education to approximately 600 local students. 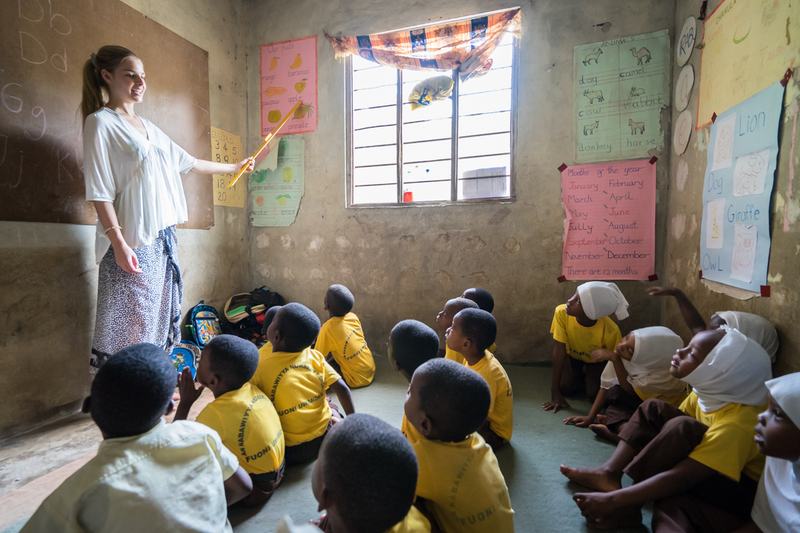 Art in Tanzania has been working with Al – Quwiyyi since 2015 sending volunteers to teach the children Maths, English and Science or to simply assist teachers in a range of subjects and look after the children in the classroom. School days are Monday to Friday 07:00 to 13:00 – lunch is at 13:00. 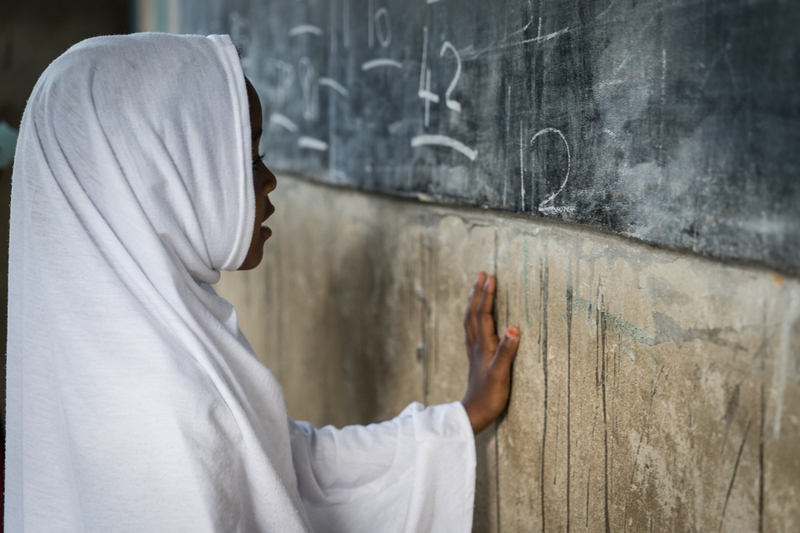 From 14:00 to 22:30 the school operates Madrassa classes for approximately 250 students. Any volunteers, who can deliver or assist in teaching Arabic, Quran, Tajweed and Fiqh will be most welcomed. The school would ideally like volunteers to stay longer than two weeks to teach, to enable the volunteers to build a great rapport with the children and staff. The founder of the school, Mr Abdullah, has an ambitious plan to build a boarding school with a Masjid, female and male hostel plus accommodation for workers in the near future, he is currently liaising with officials for a suitable plot of land. Support with this project would be welcomed from international organisations to help make his vision a reality. You can contact the school directly at alquwiyyi@hotmail.com. 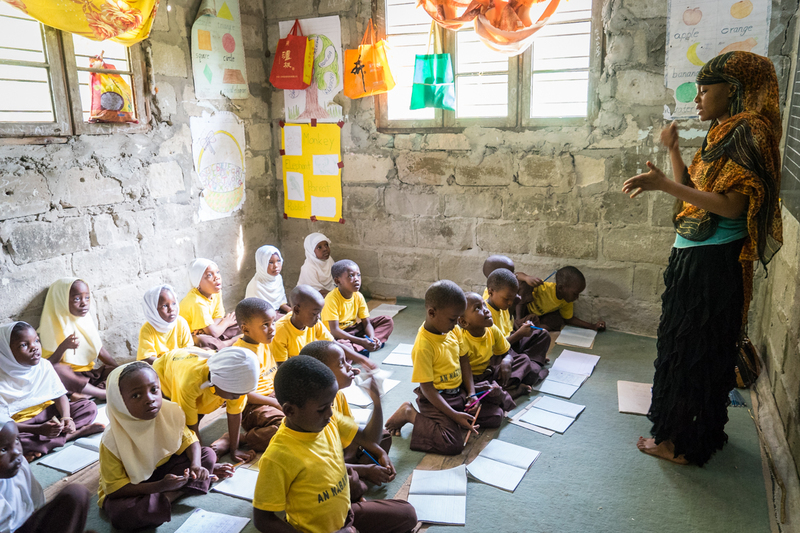 If you would like to volunteer at the nursery or donate; your time, skills, money, toys, stationary or school equipment, do contact Edward Busungu at Art in Tanzania and get involved, this is a fantastic school with friendly students with great ambitions and dreams you can be a part of. Please note that this is an Islamic school so if you do wish to volunteer be mindful of the way you dress, wearing modest clothing, by way of covering your arms, legs and your hair, would be appreciated by all the staff. Founded by Yusuf Kombo Juma, a father of six children, who witnessed the problems and challenges of education and set out on a mission to tackle the issue, he sold his own land and properties and got creative in raising money in order to fund his vision. Yusuf started his school with just one nursery class with 30 local children in 2010, this then grew each year and now the school has two nursery classes and five secondary classes with 95 local children attending the school for 8000 TZS per month, the eldest students are aged 13. The school runs from 07:30 to 12:00/ 12:45 for the older students. There are seven local teachers. Yusuf is hoping to build another classroom for those older than this, but will need funds to build it. Art in Tanzania has been working with this school since 2011; they helped expand the school from one class room to what it is now, through Art in Tanzania two volunteers have helped out for three months, helping the students and the teachers also, a volunteer from the UK taught the teachers ways of teaching for two weeks which the teachers found very helpful. Yusuf said that good education brings in more students so volunteers are very much welcomed to help support in whichever way they can. Children of all faiths attend the school and learn, Maths, English, Science, Swahili, Arabic and some learn about Islam. There will be opportunities to teach the children different languages, such as French and German if volunteers wished to do so. If you don’t want to teach you can simply provide help and support for the children and teachers, you could even set up clubs or different activities for the children, there is something for everyone. 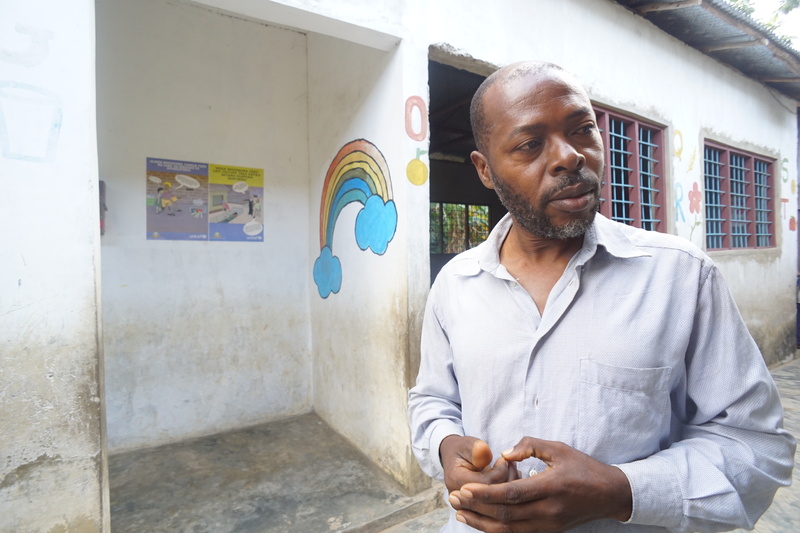 In order to expand the school, Yusuf wishes to buy the plot of land next to the school building to create three new classes for the school. For this he requires 4 million TZS (approximately £1450) to buy the land, and then 3 million TZS (approximately £1060) to build one classroom. Yusuf also has an ambition to build a centre for children near the Yusuf school on a plot of land he already owns, this would provide shelter and education for orphans in need. To build around five rooms Yusuf would require around 9 million TZS (approximately £3200) the centre would then need, beds and other furnishings to provide for the children living in the centre. Yusuf spoke about how some of the children come to school in really bad conditions; these children need support in many ways, not just teaching. 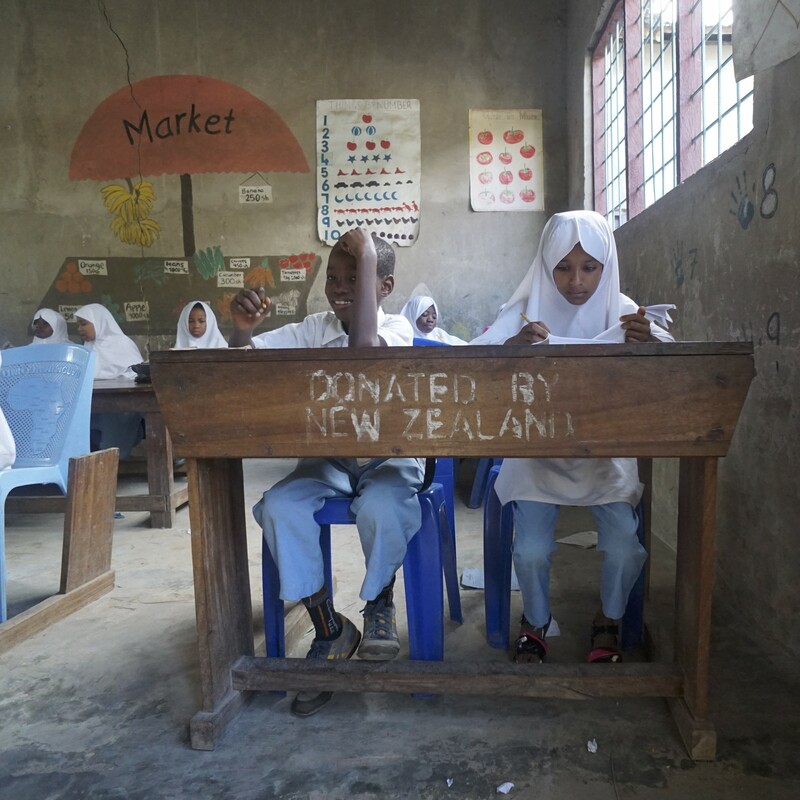 If you would like to volunteer at this school, or to donate, stationary, teaching material, desks, chairs, clothes for the children, bags or office equipment you time or money, get in touch with Edward Busungu at Art in Tanzania for more information. On the 1st of July John, Dolly and I (Matt) ventured into central Dar Es Salaam to visit the National Museum in an attempt to learn more about the history of Tanzania. For Dolly and I, who both currently live in England, the journey into the city was something else, but for John it was just an everyday thing. Our drive started early with a bajaj ride into Kibo, from there was caught two separate dala dalas into the city centre. The buses and roads were hectic, so much so that Dolly and I agreed that we would never have found our way to the museum without John’s guidance! When we arrived at the museum things were a lot calmer. There were lots of different exhibitions starting with the history of man and the animals that used to be found in the area around Dar. Here we learnt about Mary and Louis Leakey, and how they discovered what at the time (1959) was the oldest significantly intact hominid fossil ever to be found right here in Tanzania. We then moved on to a much gloomier period of the country’s history, the slave trading era. Here we read about Tip Tip (Hemed bin Monhamed El Marjebi) who at the age of 18 began the slave and ivory trade between the Eastern Africa interior and coastal towns. He was known as Tip Tip as that was the sound his guns would make when he used them. We also saw artwork depicting the conditions that the slaves were subjected to and how they were treated. After Tip Tip we found a section dedicated to Barghash bin Said of Zanzibar (Pictured below) which was a much more positive read. Barghash is credited with building much of the infrastructure in Zanzibar as well as helping to abolish the slave trade. In 1870 he signed an agreement with Britain prohibiting slave trade in his kingdom and closing the great slave market in Mkunazini Zanzibar. The museum then went on to cover the periods of European colonialism, starting with Germany forming German East Africa and then moving on to the British after they gained control of the area after their victory in the First World War. The British ruled until Tanganyika gained independence in 1961, soon after this (1963) the Zanzibar Archipelago did the same with the United Republic of Tanzania being formed in 1964. After this we headed outside and were confronted by a huge tree. We found out that this tree was called ‘The Sacred Fig’ or Bo-tree, this type of tree is very significant in Hinduism and Buddhism, and it is symbolic of happiness, prosperity, longevity and good luck. Overall the three of us had a great day exploring Dar and learning more about the great country that we are in. A special thanks to John for helping Dolly and I around central Dar and to his Uncle who provided us with a lovely lunch at a local hotel. Bryan was experiencing Finnish countryside while his visit last year. Bryan Mushi has just graduated from Moshi University College of Cooperative and Business Studies where he studied micro-financing and enterprise development. He visited Finland last year as part of the Finnish North-South-South Programme called SWAN that aims to improve social work and education. At the same time with Bryan one other participant from Tanzania, 2 from Kenya and 2 from Ethiopia also visited Finland for 2 months. The six participants were visiting different cities and Universities of Applied Sciences to do their theoretical part and practical internships. Based on his studies Bryan seems an unlikely candidate for social sector exchange, but he thinks his visit to Finland was worthwhile. – This project is very nice and we need more this kind of programs. In Tanzania we have forgotten social issues and that welfare should be first priority. I realized that I need to change from certain person to another and think more about social issues, Bryan says. He was doing his theoretical studies in Centria on the business school side and did his practical internship in Koivuhaka family center and Finnish Red Cross second-hand shop called Kontti. He found internship at the family center challenging due to the language barrier, but he liked working in Kontti as it taught him about social business. – In Koivuhaka there were many families from South-Sudan and they only spoke Arabic or Finnish, so it was difficult to communicate. In Kontti we were learning how to make displays and other things related to the shop-keeping. We should have similar shops here because maybe I am tired of my shirt, but someone else could like it. People could donate the things they don’t need any more to support an organization doing good for the community, he explains. 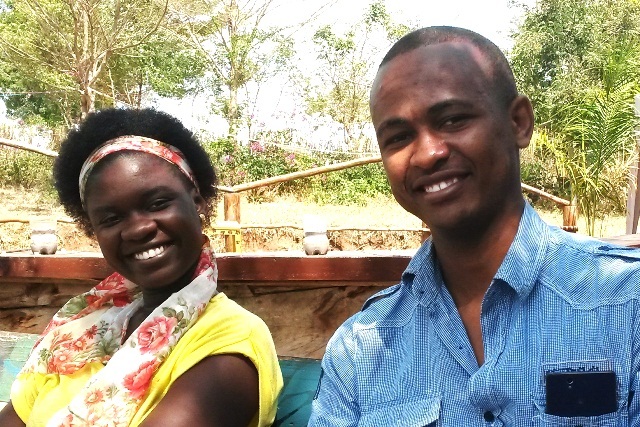 Bryan met with Helga Mutasingwa, a local volunteer, in Art in Tanzania campus in Madale. They both have recently graduated from university. 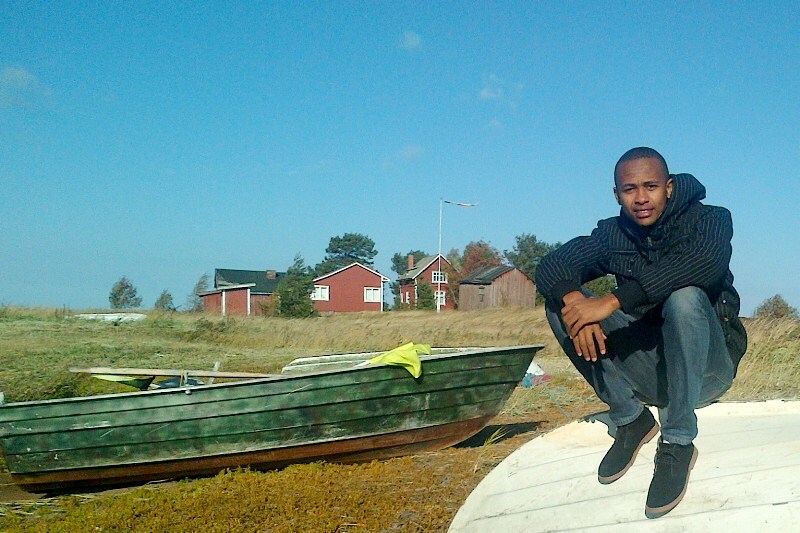 Bryan is looking back at his experience in Finland and thinking about his future in Tanzania. His biggest learnings were about different lifestyles of people and different behaviors, and this has had an impact on how he sees his future. – I have many things in my mind now when thinking about the future: maybe I am going back to school in few years and learn First Aid and go volunteer at a refugee camp. We should continue this SWAN Programme and raise more awareness about social issues. People need to see how good social services work, Bryan tells, but he is not just thinking about serious things. – Finland is a very nice place to be from Thursday to Saturday, he laughs. SWAN is Finnish North-South-South exchange programme for Social Work and Social Sciences Africa Network. The project started in June 2014 and is running to the end of 2015. During this time students and teachers from participating countries and universities have been in exchange programs in different places learning about each country’s social services at local level and social sector education. The coordinating university is Centria University of Applied Sciencies and in Finland there are eight other Universities of Applied Sciences involved in the project (Jyväskylä, Lapland, Kymenlaakso, Lahti, Laurea, Mikkeli, Savonia and Seinäjoki). In Africa cooperative universities are Tanzanian Moshi University College of Cooperative and Business Studies, Kenyan Maseno University and Addis Ababa University in Ethiopia. Art in Tanzania is an NGO participating in the project by offering coordination support and team leadership in Moshi, Tanzania. Local government is represented by Moshi Municipality, Community Development and Social Work Department. Day starts like it always starts: a cup of instant coffee and few toasts with jam. After breakfast I and Camilla, another intern here at AIT, are waiting our ride at the volunteer house. Camilla tells me that it would take between 25 minutes and 1,5 hours to get to the school depending how many kids we are picking up after us. Car comes to pick us up at 8.00. There are already few kids and one teacher in the car, but we have to pick couple more kids before we can go to school. The school is only going on for two weeks, so it is not a regular school, more like fun summer school thing for kids whose parents are still working. 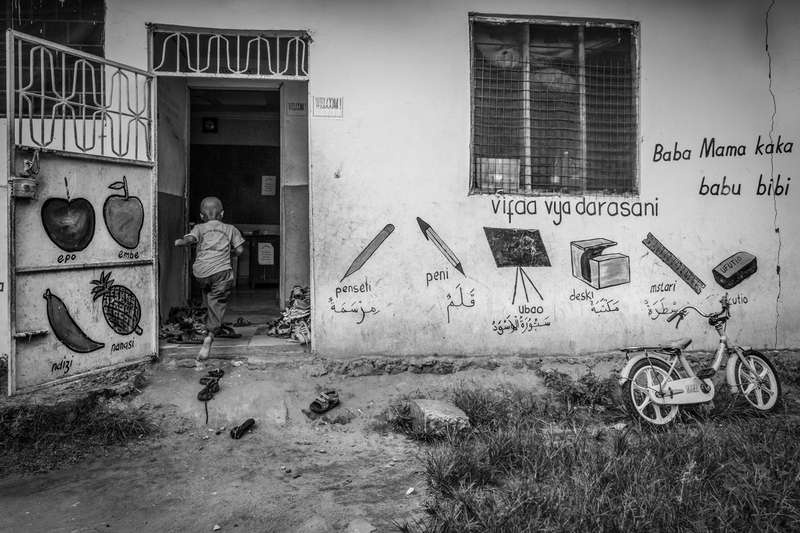 Prestige school is located in Mbezi area in Northern Dar es Salaam. School has tuition, so kids who go to school here are coming from “privileged” backgrounds. Kids are mostly between four and six years old. We arrive at school around 9 o’clock. Some of the children are so young that they go to nursery. Unfortunately I did not have the time to visit the nursery side. Every morning starts with a praying moment. I also introduce myself and kids are asking me different kinds of questions like “Where are you from?”, “How old are you?”. After that kids move over to the main teaching area. There are quite many adults: four in a class and then there is me and Camilla, which is a lot comparing to Finland where the same size class would have only two adults. First “subject” is learning what nose does, then color and paint different areas from paper they have been given. Camilla tells me that they have gone through all of the different areas before. After that it is breakfast time (I feel like a hobbit because I’m having second breakfast), me and Camilla are having chapati and tee. Tee is so sweet that I can almost feel the sugar rush in my veins, chapati are good, like they always are, the only thing missing is some hot sauce. Painting continues after breakfast and the subject is tongue. When this is done, we go outside to play. Camilla takes eight kids with her to play football and the rest of us are throwing a ball to one another. Kids and teachers also play a local game that I don’t know. After playing outside for roughly 35 minutes we head back inside. There is a rehearsal of some kind of play. Camilla tells me that they have practiced it every day. The day ends with lunch. I and Camilla are having ugali and some veggies. I think there is cabbage and carrots with some sort of red sauce. Anyway the food is good. And soon it is time to head back to the volunteer house in Madale. This time the travel takes only 20 minutes.